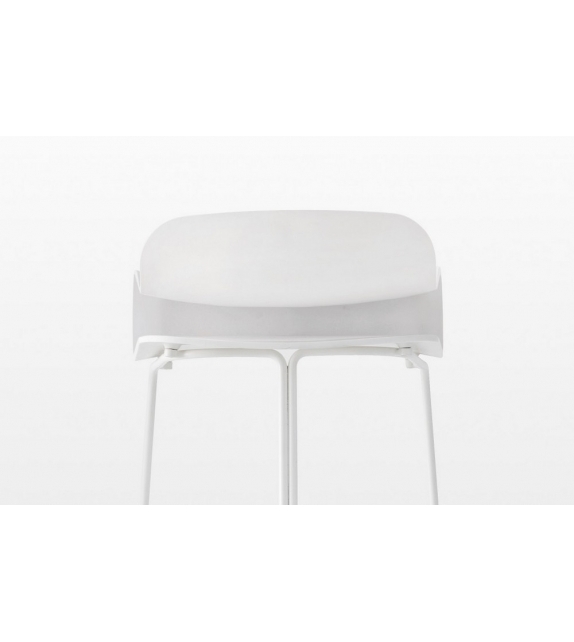 BCN by Kristalia is a slide base stool. 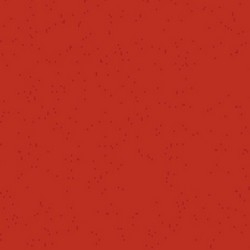 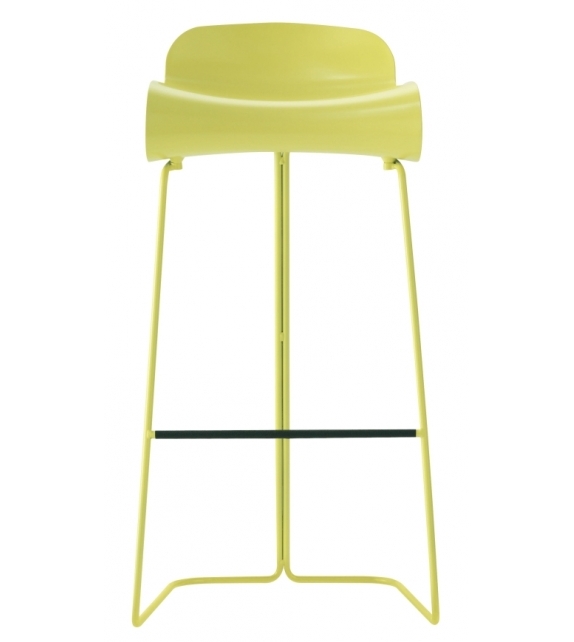 The BCN plastic stool was the result of exploring how new materials can be used to create furniture. 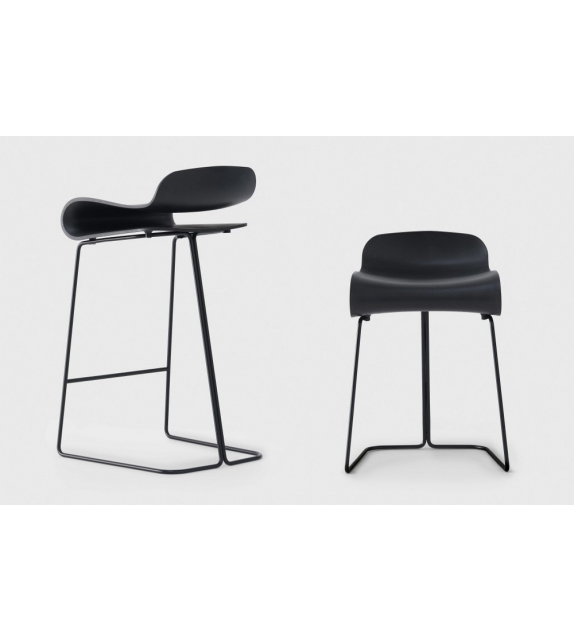 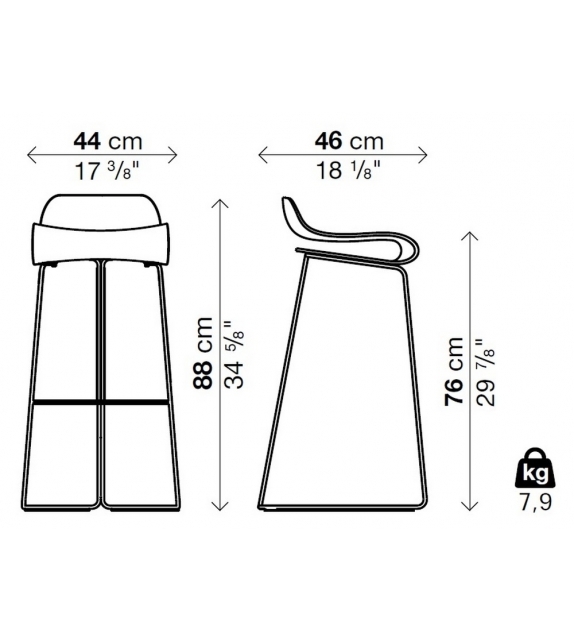 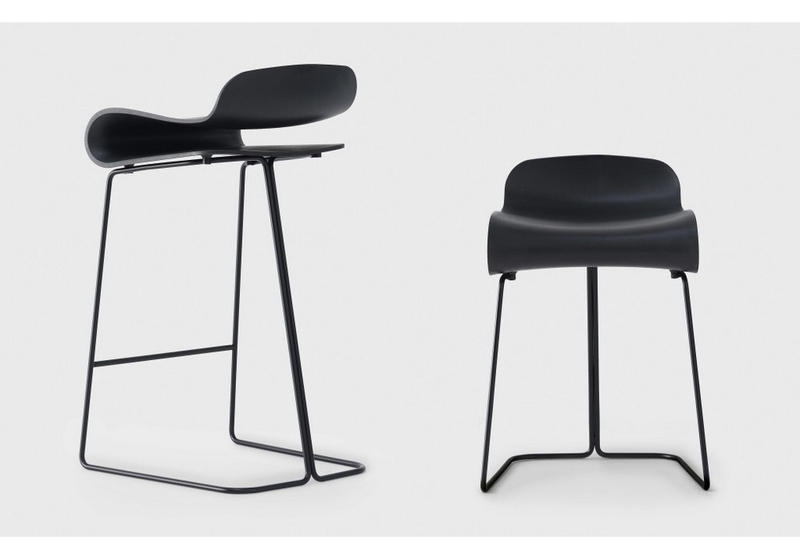 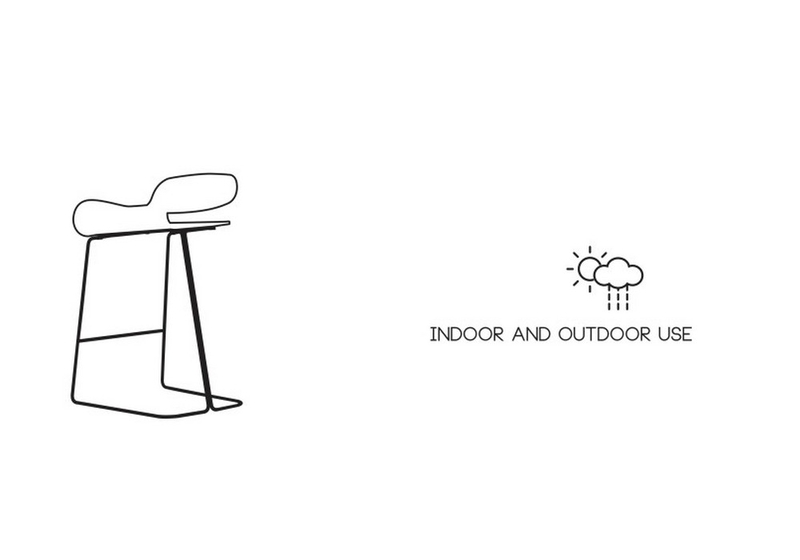 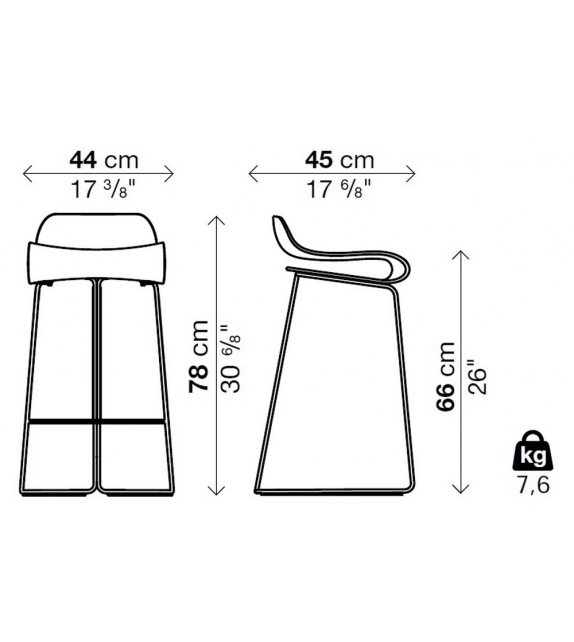 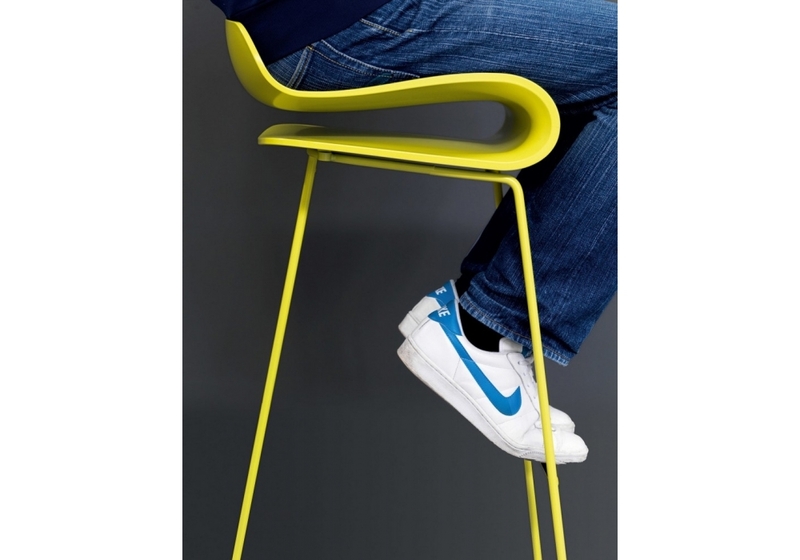 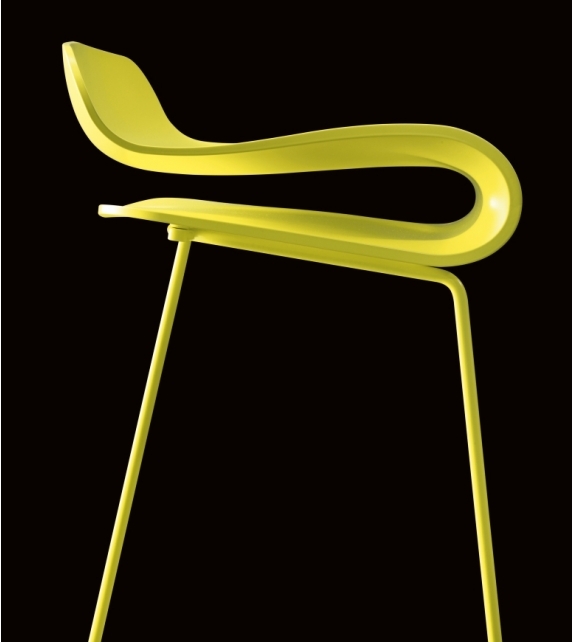 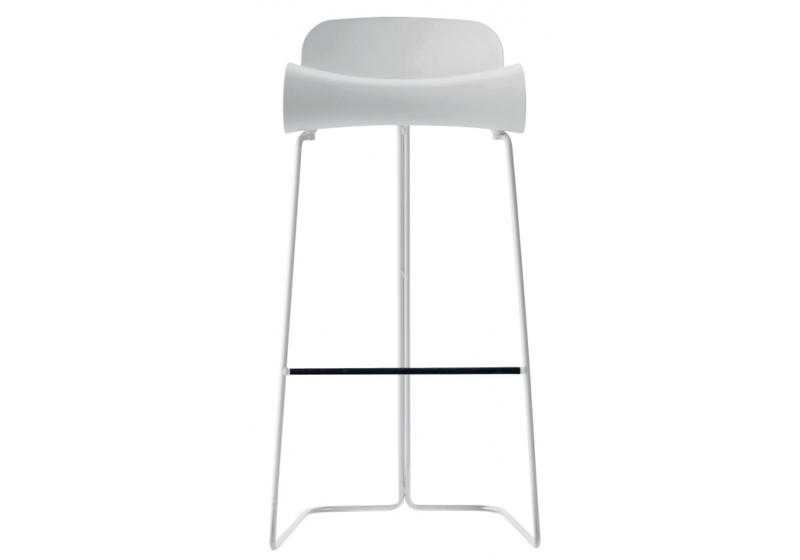 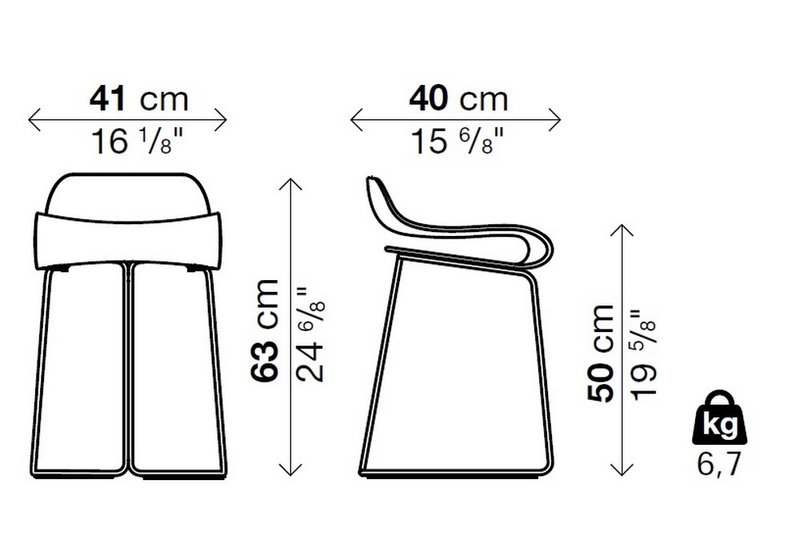 The main feature of the stool is the design of the seat. 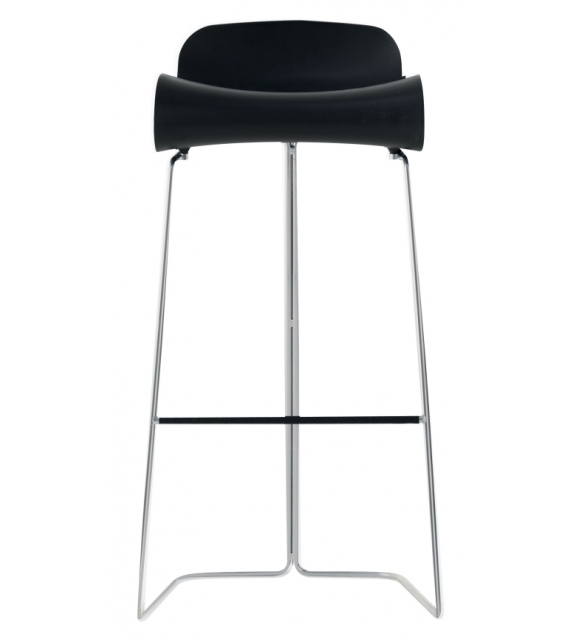 The seat was ergonomically designed by specialists to maximize comfort. 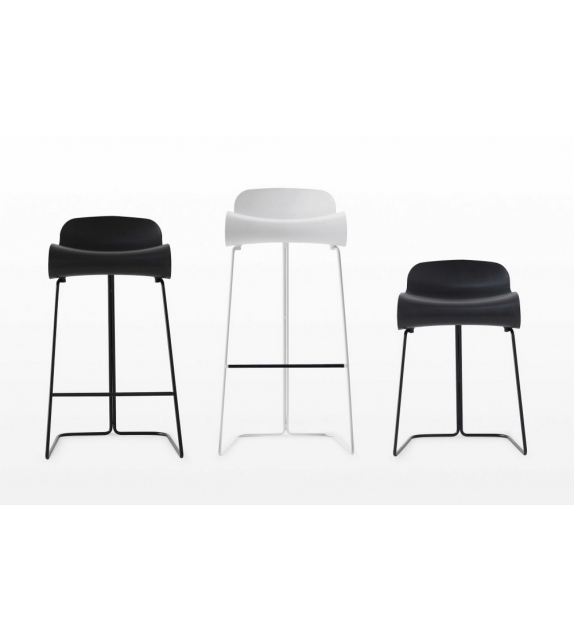 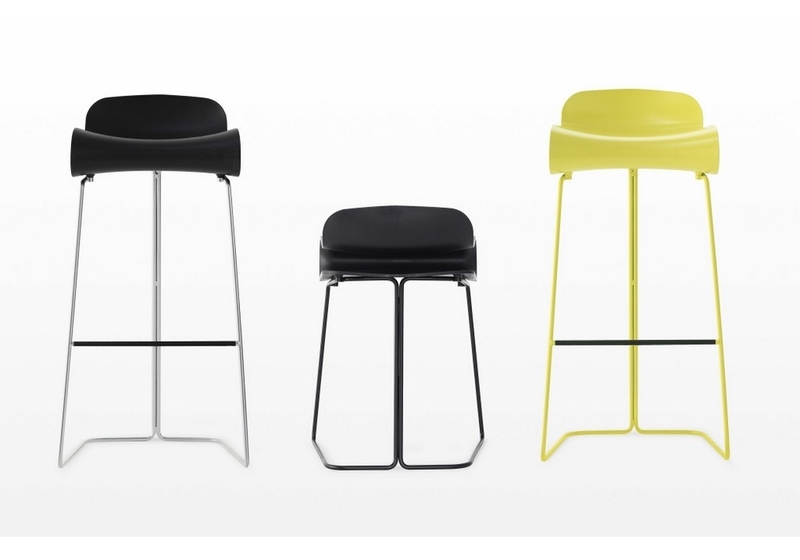 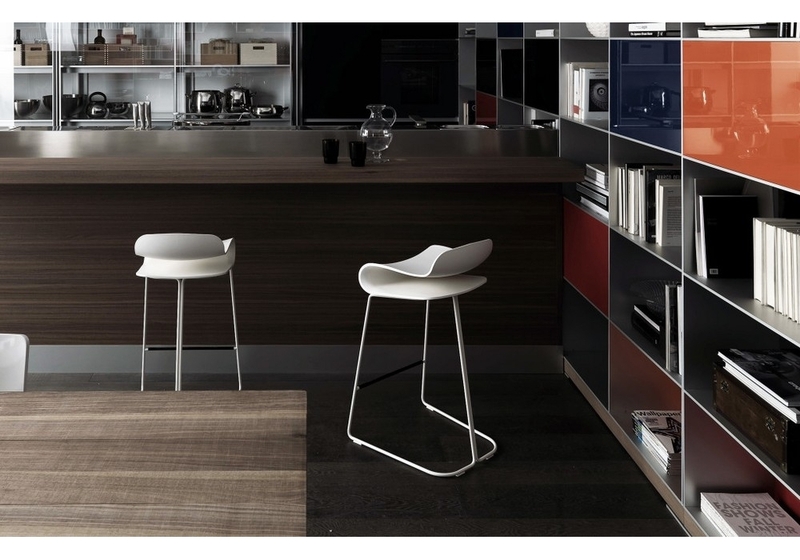 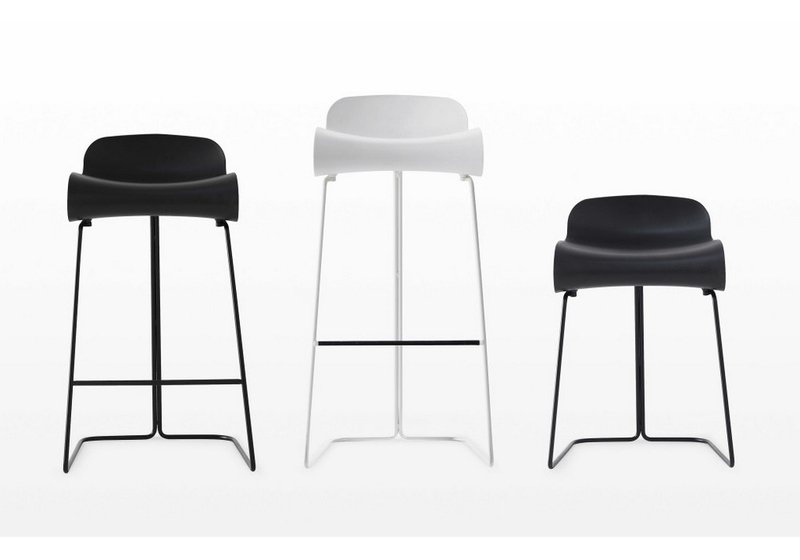 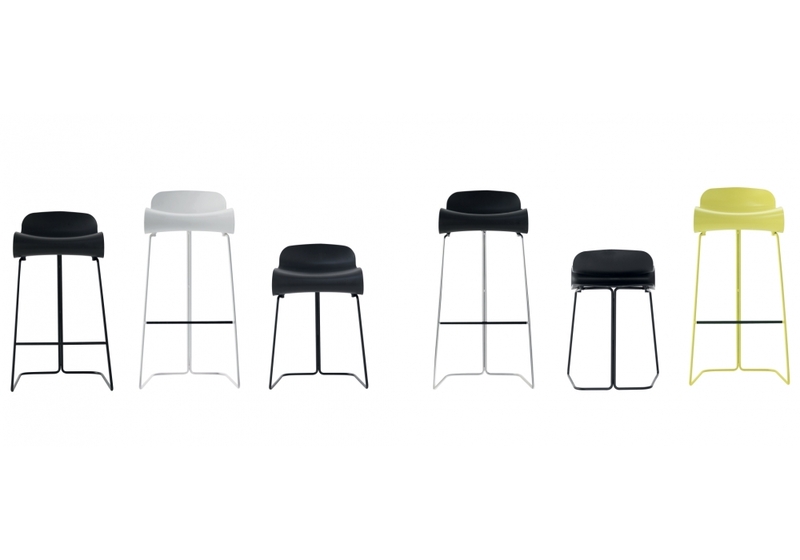 The stool is available in three heights: tall (perfect for a breakfast bar), low (it becomes a backless chair) and medium. 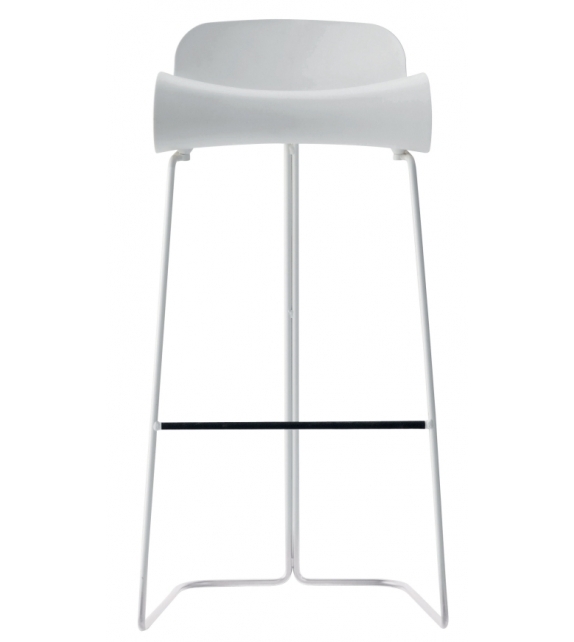 BCN by Kristalia is a slide base stool. 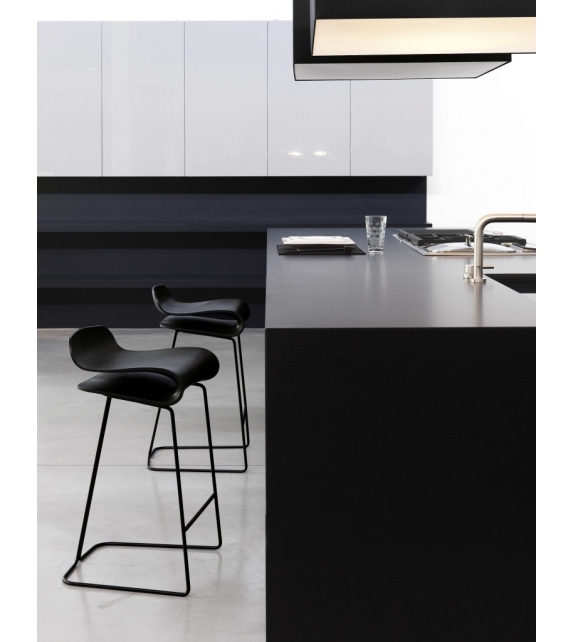 The BCN plastic stool was the result of exploring how new materials can be used to create furniture. 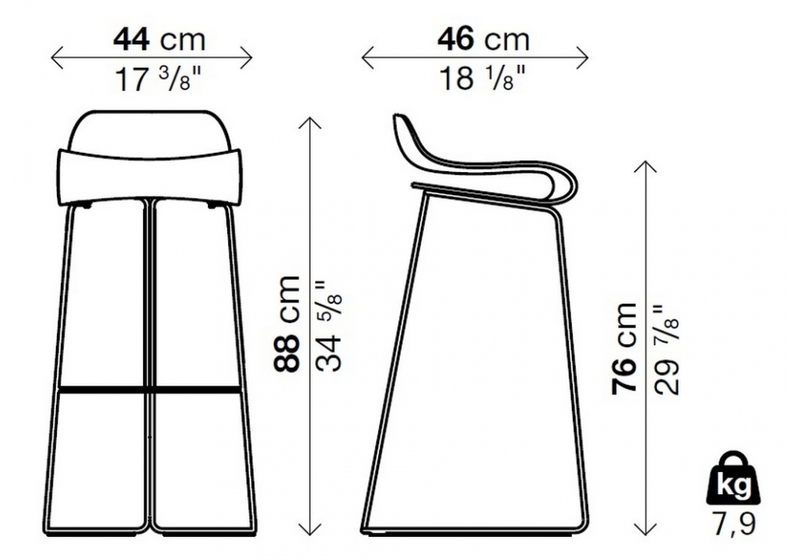 The main feature of the stool is the design of the seat. 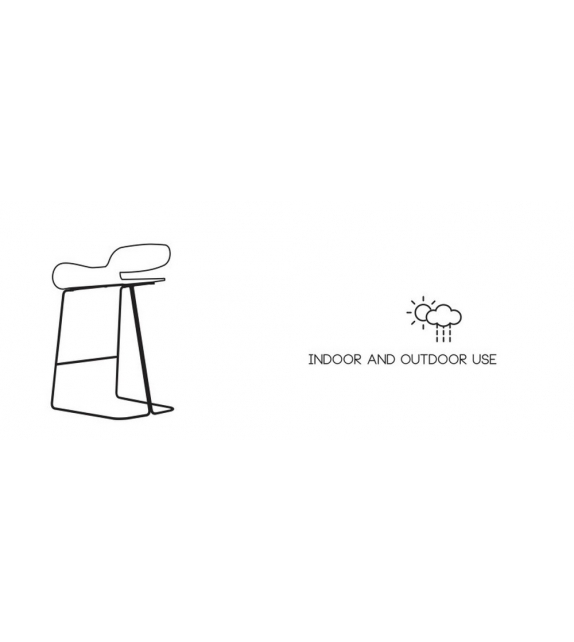 The seat was ergonomically designed by specialists to maximize comfort. 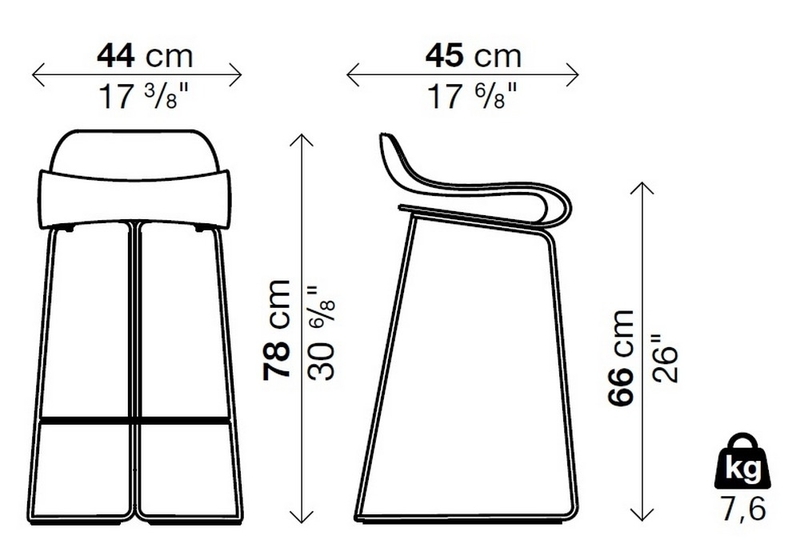 The final shape required a huge developmental effort during the design phase. 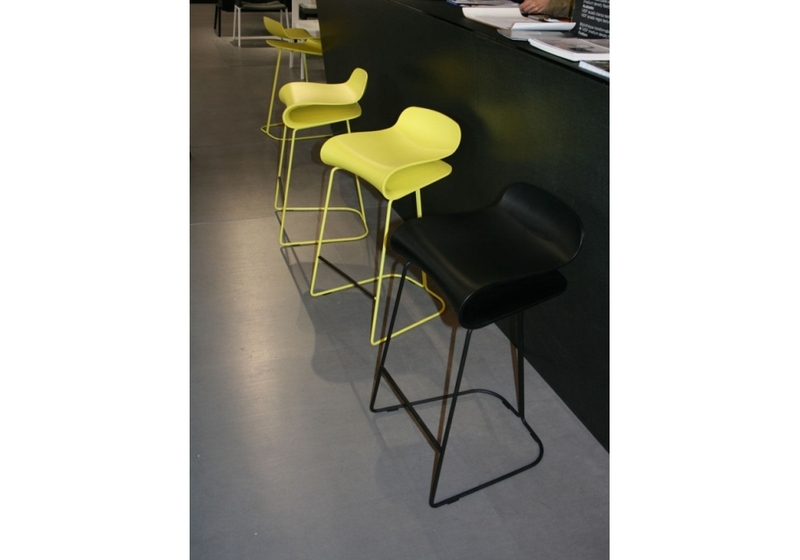 The stool is made from a type of plastic called PBT (polybutylene terephthalate) which is rather unusual in the furniture industry. 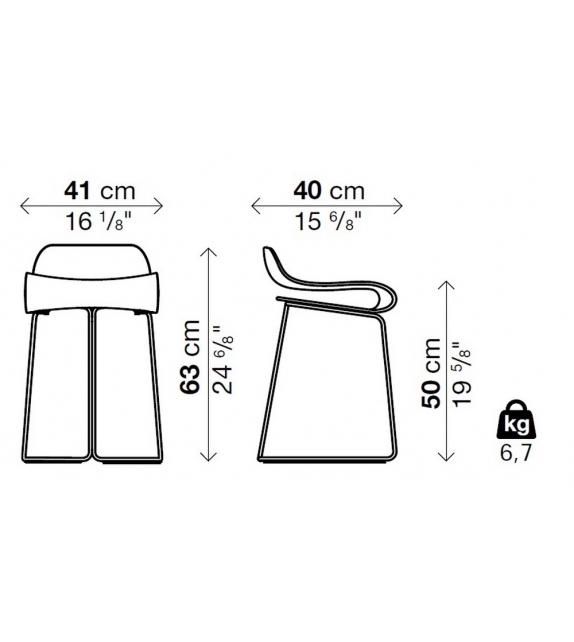 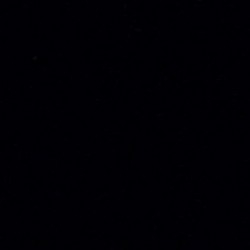   Previously, the most common use for this type of plastic was for insulation in the electronics industry because it is very strong and it is resistant to both heat and solvents. 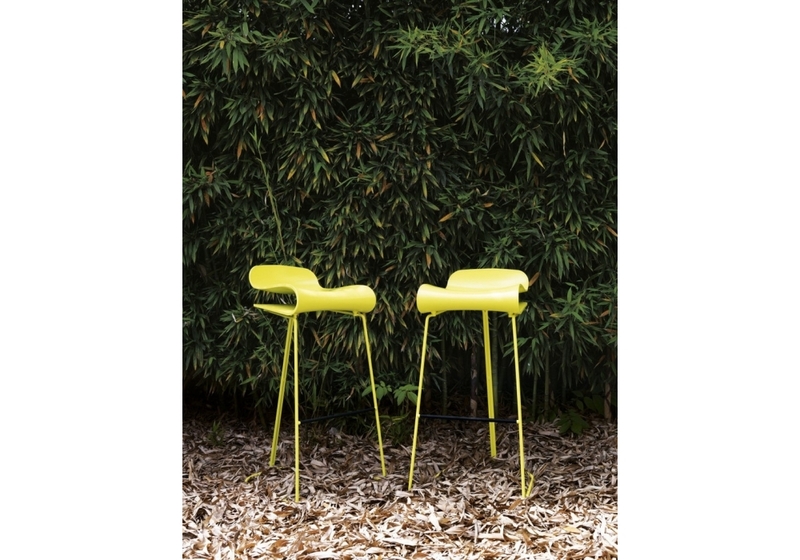 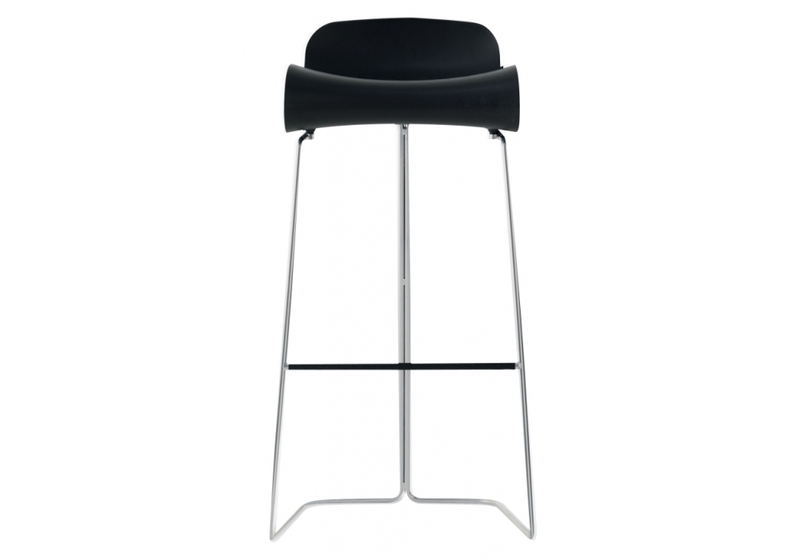 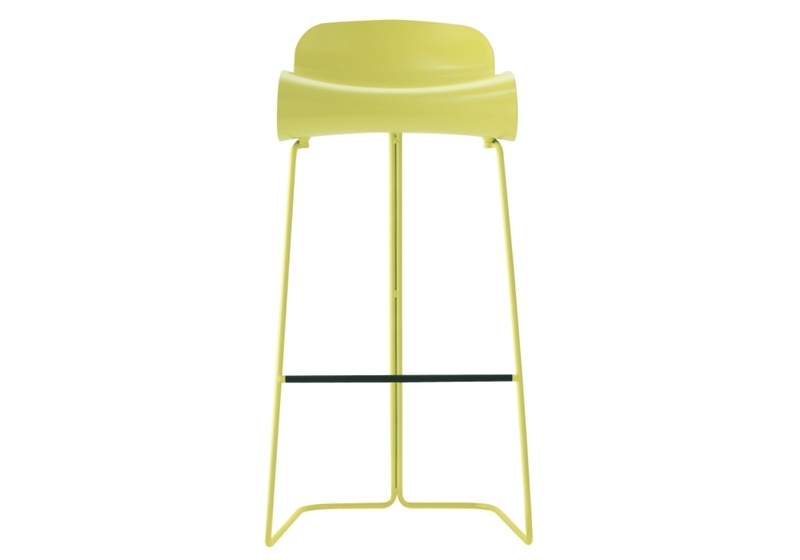 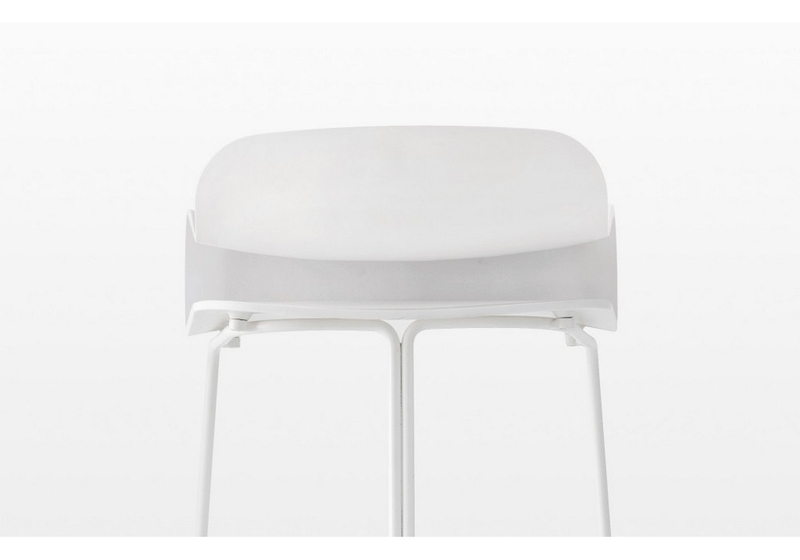 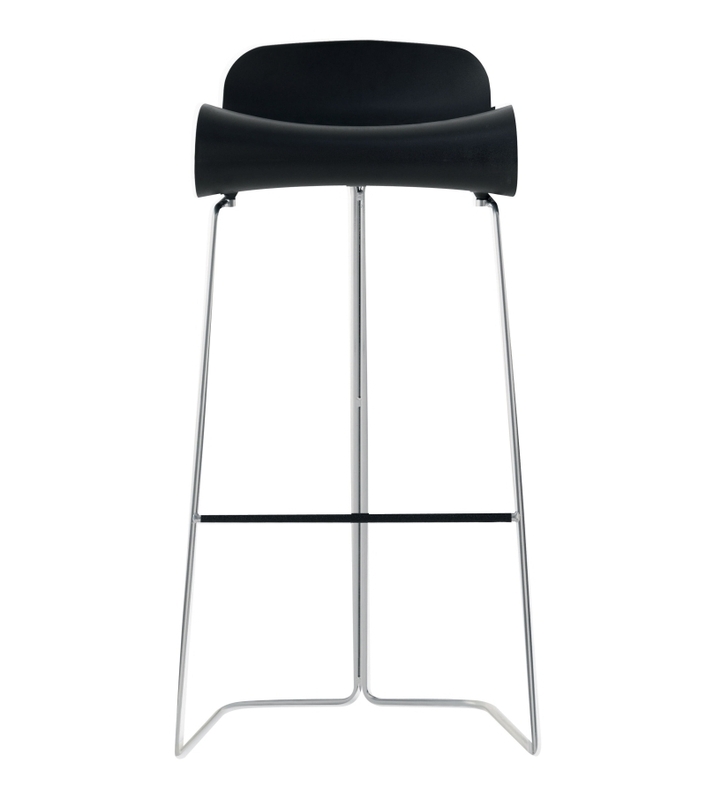 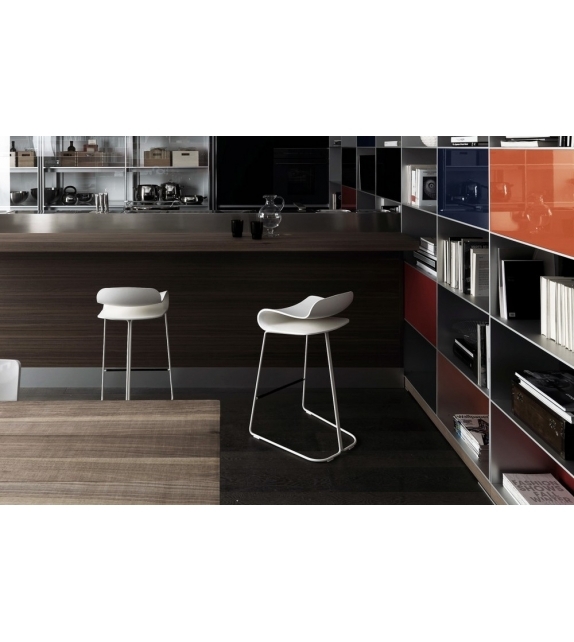 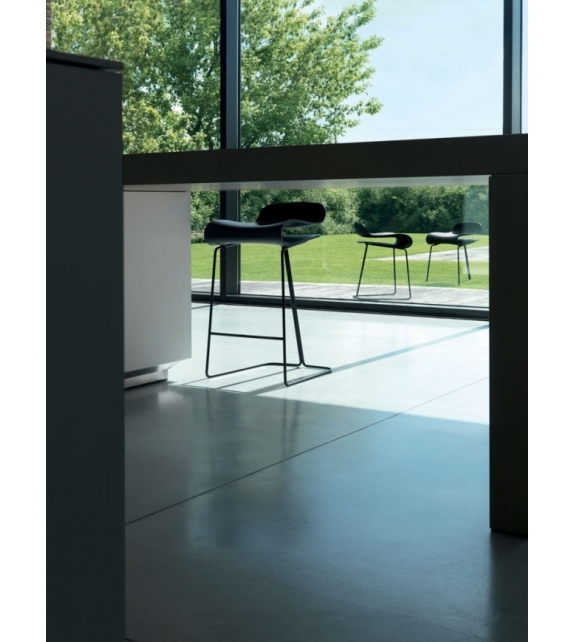 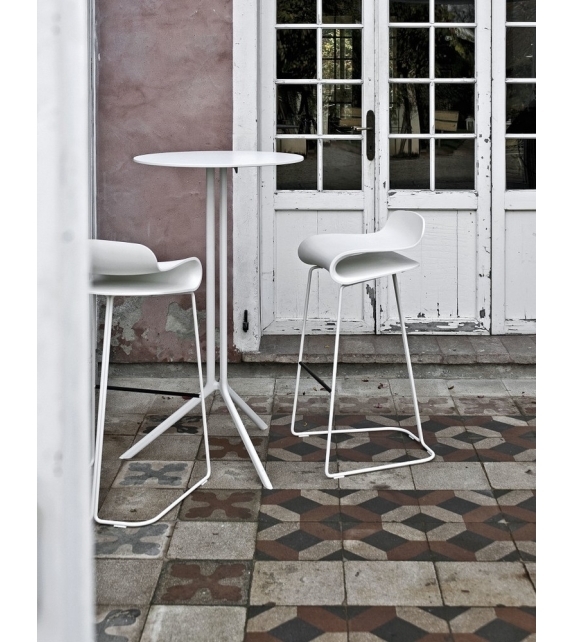 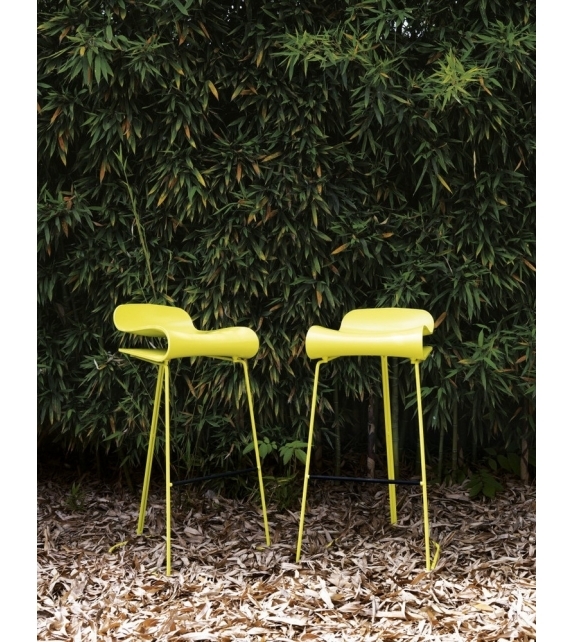 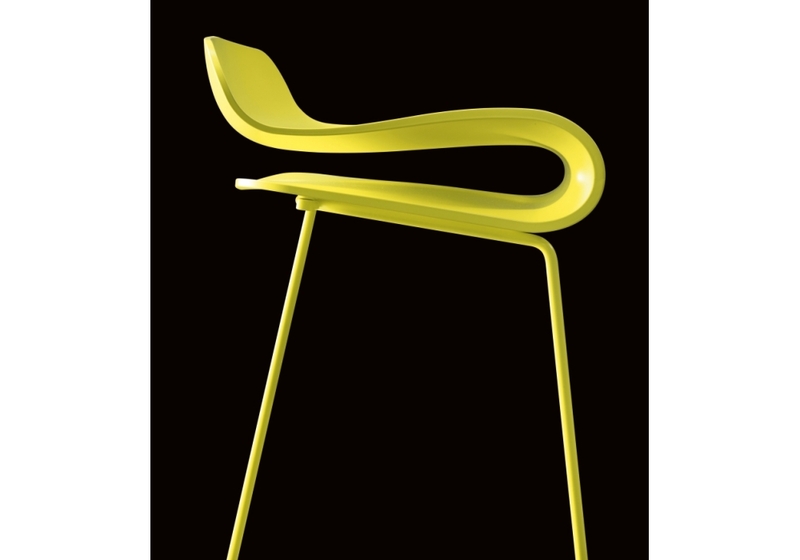 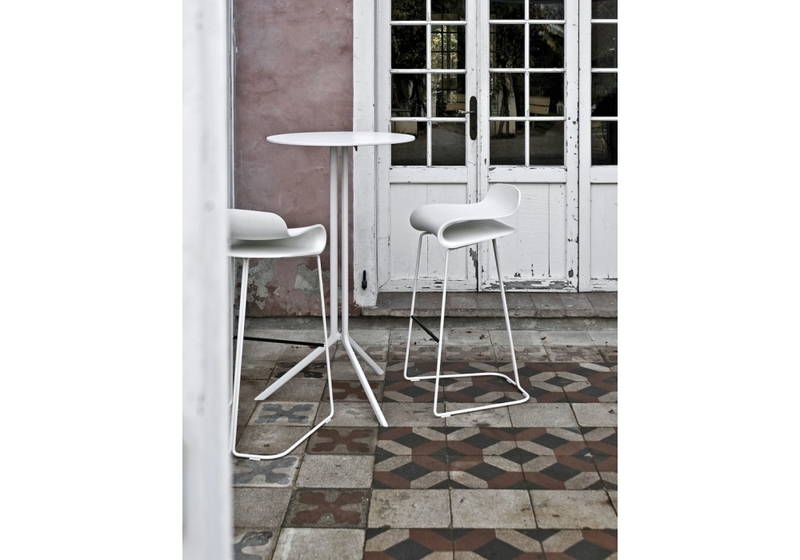 The metal structure of the stool has been crafted from steel originating from the Umbrian town of Todi. 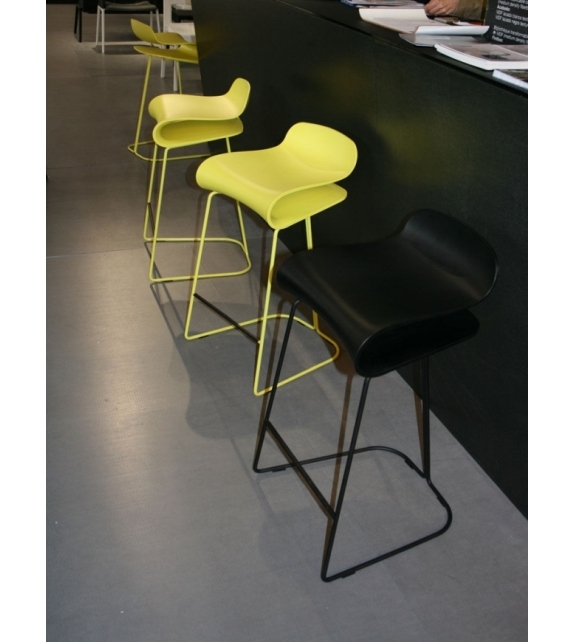 Over time the BCN plastic stool has become a designer product that is recognized and appreciated not only as a stylish seat for use in your kitchen, but also it has been chosen by many architects and interior designers for use in bars, pubs, hotels and restaurants. 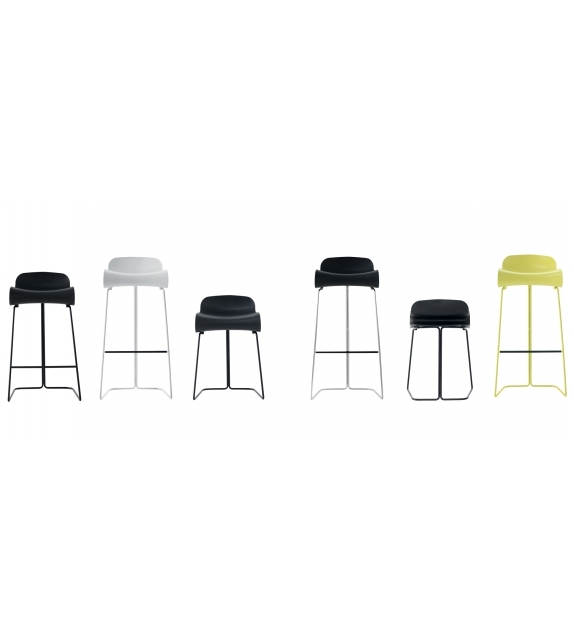 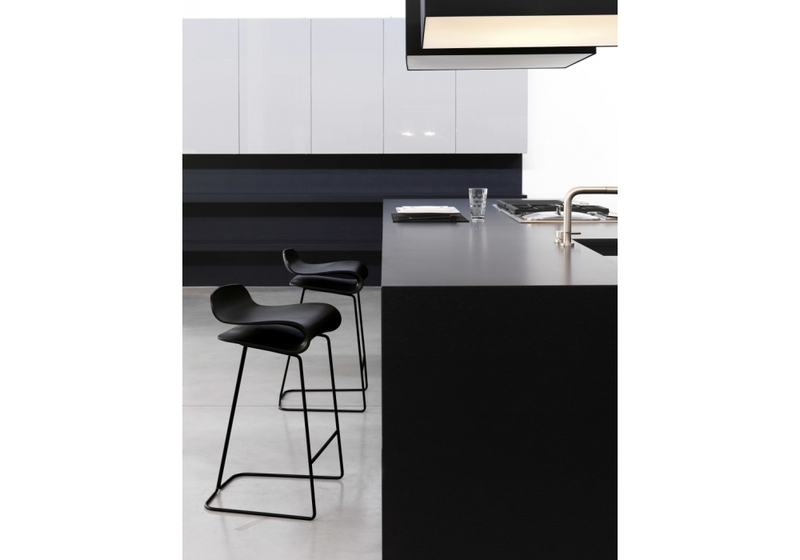 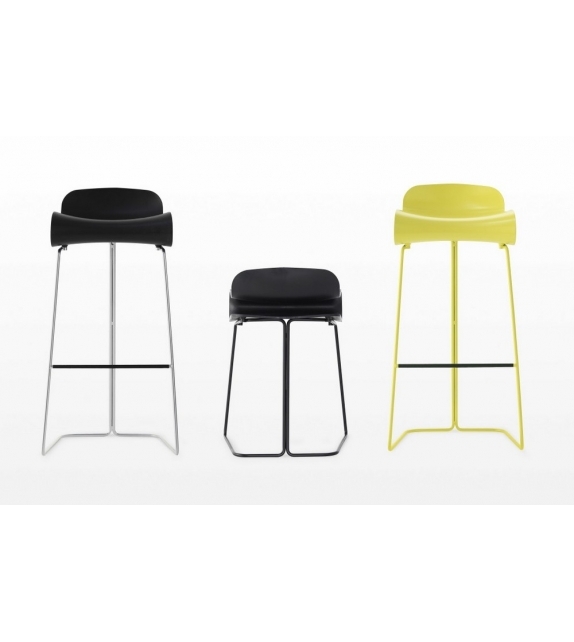 The stool is available in three heights: tall (perfect for a breakfast bar), low (it becomes a backless chair) and medium.